Gerard Leider is a Partner in the Lake Forest office and has been consulting in the field of executive compensation for over 25 years. He provides guidance on a broad range of compensation matters including total compensation strategy, analysis, design, and valuation. His work covers the full range of executive compensation consulting, including: corporate governance issues, compensation strategy, short- and long-term incentive design, incentive valuation and award guideline setting, employment and severance agreements, compensation disclosure, outside director compensation programs, executive recruitment support, and executive and board of directors compensation benchmarking. He provides public and private companies with counsel on executive compensation and corporate governance matters in a variety of industries. Gerard’s clients span diverse industries, including mid-cap and large-cap manufacturing, automotive, chemical, paper, technology and utility companies. Gerard has been a speaker at the Equilar Summit, the MAPI Conference, Corporate Board Peer Exchange Conference, and the Compensation Committee Boot camp. 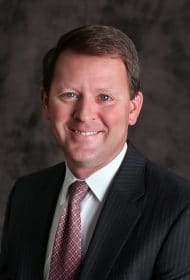 He has also written articles for the Journal of Compensation and Benefits, C-SUITE Insight Magazine, NYSE Governance Series and Corporate Board Governing Series.